Procedures in commercial mold remediation (removal) differ from those used in private homes in several regards. Discretion while doing the actual removal is paramount, because people who work in or visit office buildings or manufacturing facilities can panic at the idea they may be in danger. Eco Tech is a certified commercial mold remediation company with experienced technicians who understand the need for discretion when performing mold removal tasks. It’s unfortunate, but sometimes people who simply know that mold is present will develop mold-related “symptoms,” although it can be entirely psycho-somatic. There also is the issue of the protective uniforms our field technicians wear when undertaking a commercial mold remediation project. Because the levels of mold we often work with can be dangerous to human health, we want our employees to be fully protected when working around the substance. The trouble is, when customers or employees in a commercial setting see our techs shrouded in their protective gear, they might become unnerved and believe the problem is much greater than it is. 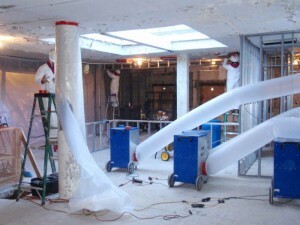 For these and other reasons, we generally do commercial mold remediation at night or on weekends, or whenever the facility is non-operational. Depending on the nature of the facility and the project, we may even park our truck away from where the work is actually taking place, and we may choose to wear no garments with wording that identifies the wearer as a mold-removal technician. The bottom line is, we do all we can to protect the interests of whatever commercial venture is taking place at the facility. 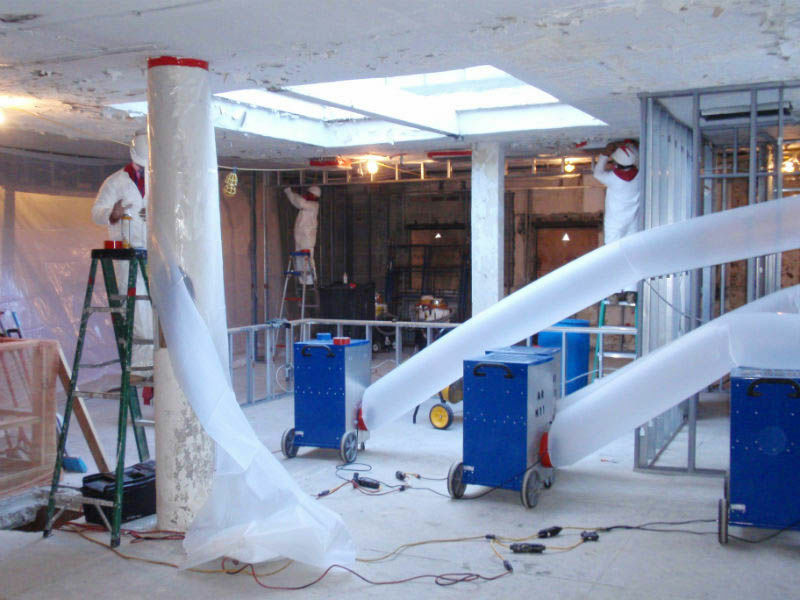 Commercial mold remediation performed during off hours is appreciated by our clients, particularly those with small, professional business such as doctors, dentists, attorneys and the like. The last thing these clients need is strangely dressed individuals traipsing through their offices and creating a stir in their clients. 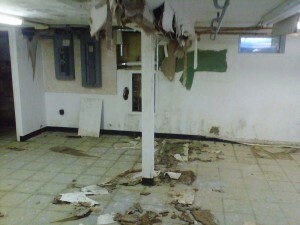 Once we’ve determined a work schedule, commercial mold remediation can begin. The process is far more complex than the one used in residential settings. For example, in the commercial environment we may be called on to work with and around complicated HVAC and air purification systems, clean rooms, high-power data rooms and intricate medical equipment. Fortunately, our commercial mold remediation technicians have intimate knowledge of any system or piece of equipment before they show up to do the job. An obvious way in which the commercial mold remediation process differs from remediation in homes is the sheer size of some commercial facilities. Grocery stores, schools and department stores are good examples. Mold can be anywhere in these types of places, and a technician must know where to look and what to look for, and then the remediation team must know the correct process of removing the mold from these huge areas. Eco Tech has a phrase that sums it all up: Control the moisture, control the mold. After commercial mold remediation is completed, we make sure our clients are aware of where the mold problem began, what contributed to it and how they can prevent it from coming back. Moisture is always part of the issue, and finding it in large, multi-roomed facilities can be tricky. But it must be found, because there’s no point in undertaking a commercial mold remediation project if mold will be allowed to continue growing. If you have a mold issue at your facility – or if you even suspect you may – you can count on Eco Tech’s commercial mold remediation services to do the job quickly and correctly. We’re here to help with knowledge, experience and discretion.